Minimal-industrial music - minimal electronics? To be or not to be? !...differently from Hamlet, the matter this time remains the same. I think the main source for the opening track is a cable connected to an amplifier and than manipulated with a naked hand or with any possible human conductor in general, add some distortion effect, a reverb, a flanger and you probably have it. Sometimes it gets more rhythmical, sometimes it could be the acoustic and ultra-minimalist answer to Panasonic’s debut, but it’s a bit too "to the bone" to be realisticly compared. The sound is not bad at all, but it’s a bit vague so vague it’s hard o get the real point in most of the track (shapeless or not). 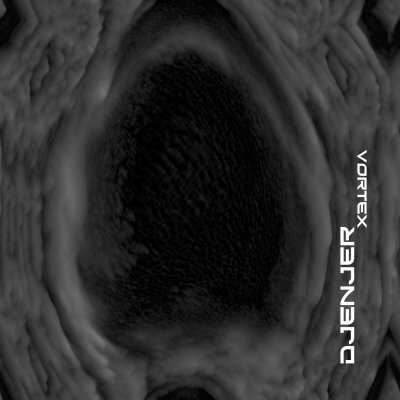 Probably Djenjer is into few weapons/instruments but used as much as he can, but it sounds a bit incomplete. I think if he would had some more samples/sounds the future will look brighter... but maybe he will pursue this "reductionist" path demonstrating I’m completely wrong. Xavier Iriondo of Uncode Duello, A Short Apnea, Polvere, Afterhours...whatever...is here with this new group called Oleo Strut. Mr. Iriondo had probably been sucked deeper into that temporal warp that brought his mind back in the seventies, definition: kraut-freaky-psychedelic-extravaganza. While Wallace is in some way becoming his own personal recreational area (he's involved in too many new releases to list them all), this guy is so enamoured of that music lost back in the days, that if Cramps records was still alive I'm sure he'd be part of their "pack". Be it the production or just Xavier's "heavy hand" in it, but on this 3" mcd the italo-french combo revives the ghosts of Faust, Popol Vuh, Can and the result is categorically high-quality. Dark and odd, like many other releases filed under the type, the soundtrack effect is strong, but obviously we're talking about Herzog, Argento, Fulci, Jarman (considering him the most recent extreme). Many acoustic instruments, organs, "intrusive percussions" (? ), concrete noises and an incontrovertible night feel. This 3" should preannounce the release of a full length (like it happened with Polvere) and it's a good premise obviously. Xavier/Wallace: love it or leave it. From a band member of Psycho D-Vein we have this masterpiece of indie sound "Dust Fear of Lover". This promo remind me directly to the sound of Jesus & Mary Chain with electronic taste, but not only, My bloody Valentine, Lush and many other bands from the second age of 4ad, in these great melodies of new wave you can find also Joy division (always present) and Velvet Underground (the cd included a cover of Lou Reed). The only bad point for the cover of "Nothing changes" by Death in June, It's time to change!!! the others aare 13 beautiful songs to remind us that the underground is alive an kicking. Prikosnovénie has started a new series of releases for new talents called"Nové". ARTESIA is a new French female duet, their style is dark atmospheric heavenly voices, you can think to Dark Santuary, Stoa or Arcana like references but sure they show great talent! The musicians look like to sirens, maybe they are, soft keyboard patterns and romantic violin is the background of these heavenly voices, romanticism, melancholy, sadness and forlorn daydreams these are the ingredients for a great album. Four years after their debut album, the Italian ensemble Ashram realise their second album, "Shining Silver Skies" for the fine label Equilibrium Music.Ashram have conquered a discreet fanbase around their delicate and Neo-Classical music style. The group’s singer has a beautiful crooning voice and sometime remind to Anthony and the Johnston, melodic piano and violin phrases confer some decadent atmospheres and deep emotions . Withthis album Ashram jump on the top list of this kind of music, Folk ballads perfect sound, great musicians. Impossible to lose! !